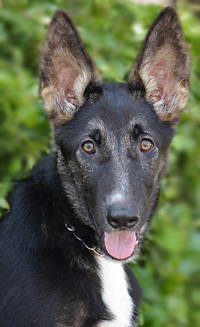 Cara von Manzo is a delightful 5 month old German Shepherd puppy. 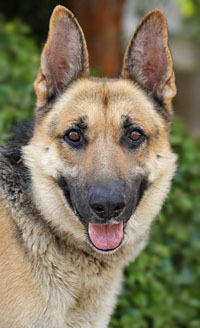 Lucky von Lorraine is a handsome 3 year old German Shepherd. 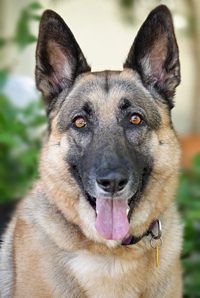 Millie von Marbach is a mesmerizing 4-year-old bi-colored German Shepherd. 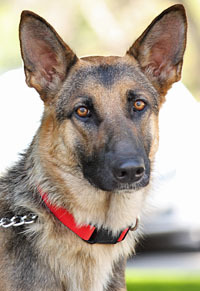 Mona Lisa von Munich is a beautiful 2 year old German Shepherd. 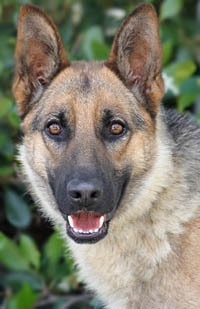 Krissie von Kassel is an adorably sweet 8 month old German Sheperd mix puppy on the smaller side. 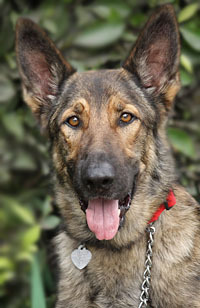 Sheena von Speyer is a beautiful 2 year old German Shepherd. 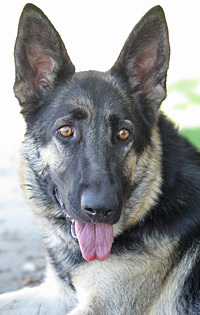 Darlene von Dassel is a beautiful and sweet 2 year old sable German Shepherd. 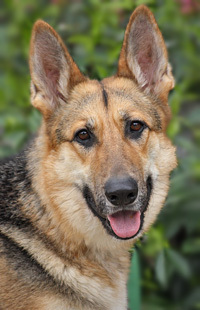 Marnie von Morgenstern is a lovely 2 year old German Shepherd. 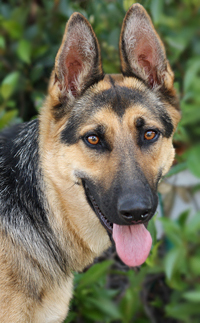 Thelma von Rosedale is a beautiful 14 month old German Shepherd. 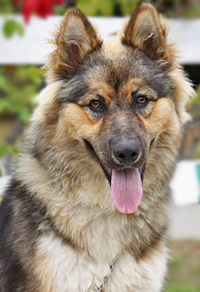 Louise von Rosedale is a gorgeous 14 month old classic looking German Shepherd. 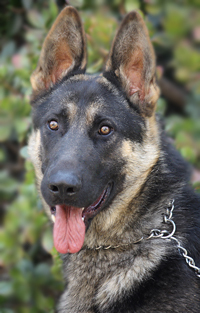 Luke von Leipzig is a goofy and adorable 7 month old German Shepherd puppy. 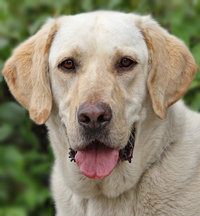 Marley von Meiselhof is a beautiful 2 year old yellow lab. 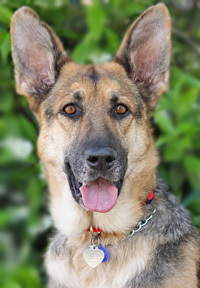 Leah von Langen is a beautiful 3 year old German Shepherd. 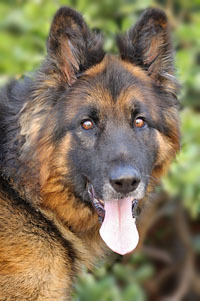 Koji von Kandel is a gorgeous, very large 4 year old German Shepherd. 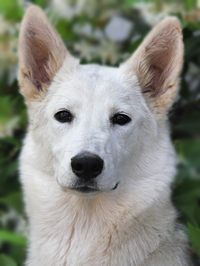 Winters von Welzow is a stunning 14 month old coated white German Shepherd. 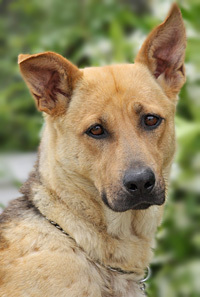 Eliza von Essex is the sweetest 2 year old shepherd mix you will find. 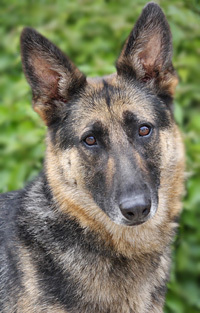 Britta von Bremen is a beautiful 3 year old German Shepherd. 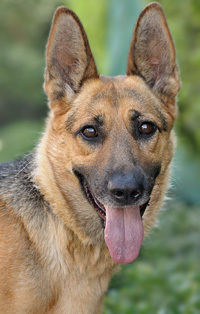 Kandee von Bergman is a beautiful 2 year old German Shepherd. 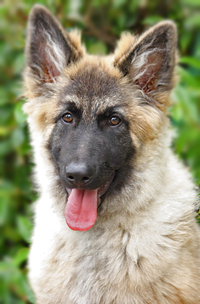 Sedona von Senden is a picture perfect 5 month old German Shepherd puppy. 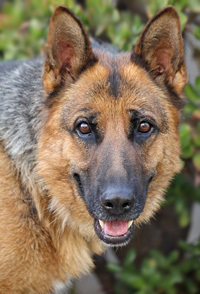 Belle von Brandenburg is a beautiful 4 year old classic looking German Shepherd. 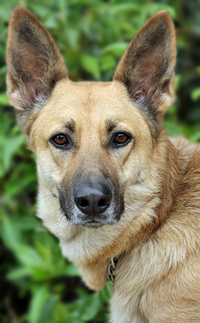 Roxy von Rosenblatt is an amazing 3-year-old German Shepherd/Belgian Malinois mix. 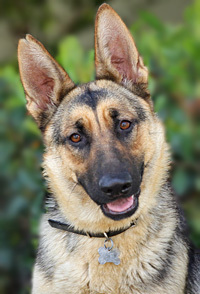 Candace von Cornfeld is a beautiful 18-month-old German Shepherd beaming with love and affection. 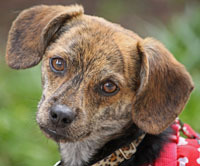 Herbie Von Herberston is a 12 month old 10 lbs mix of possibly Chihuahua/Dachshund/Beagle. 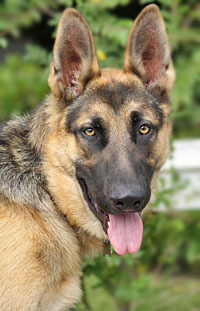 Bayer von Bonn is a stunning 8 month old German Shepherd. 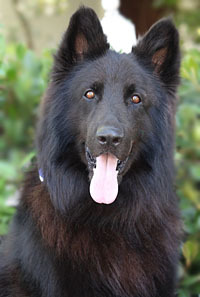 Rocky von Fulton is a stunning 4 year old long haired German Shepherd. 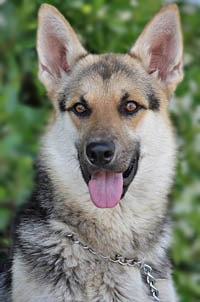 Apache von Abstatt is a "gorgeous in the making" plush coated 12 month old German Shepherd. 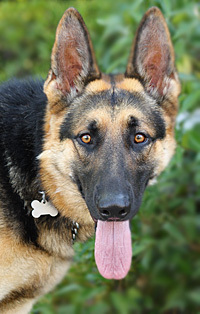 Hondo von Holtz is a beautiful 12 month old German Shepherd. 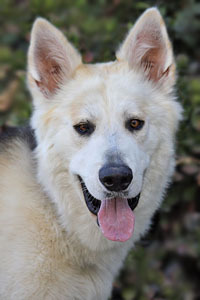 Skyler von Scheer is a gorgeous and large 12 month old plush coated German Shepherd. 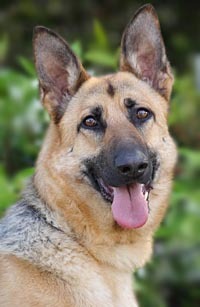 Kort von Kalbe is a gorgeous 18 month old German Shepherd. 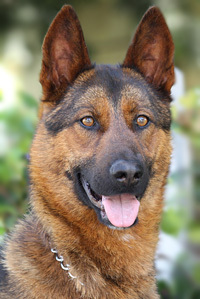 Sebastian von Stahl is a stunning 2 year old sable German Shepherd. 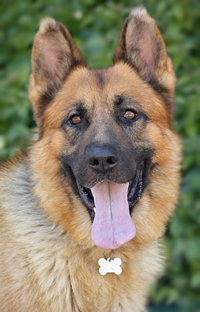 Enzo (aka Major) von Erdingen is a very charming and handsome 3 year old German Shepherd. 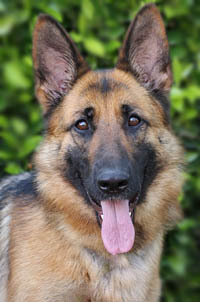 Valen von Velden is a very handsome 18 month old long haired German Shepherd. 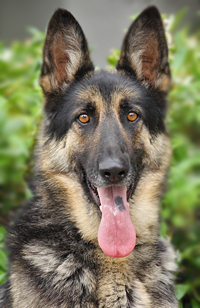 Hans von Forst is a stunning 18 month old classic German Shepherd. 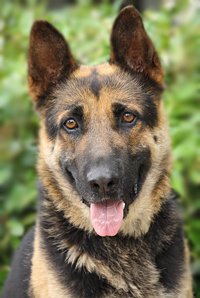 Duke von Darmstadt is a stunning 4 year old German Shepherd. 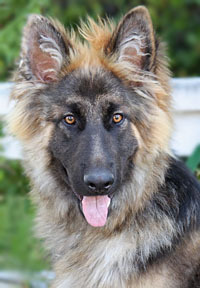 Lexi von Shaw-Mitesh is a gorgeous 8 month old long haired German Shepherd. 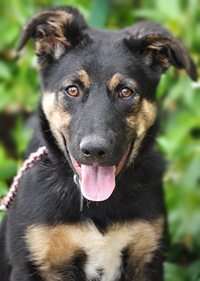 Aurora von Alzey is a delightful 4.5 month old German Shepherd mix puppy. 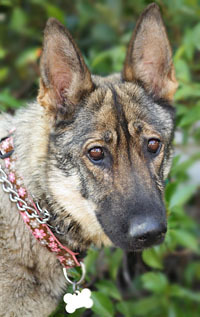 Foxy von Rain is a delightful 12 month old sable German Shepherd. 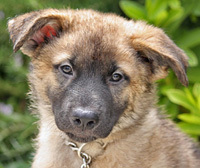 Ali von Marnie is a wonderful 8 week olf German Shepherd mix puppy. 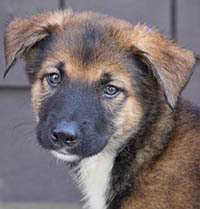 Abigail von Marnie is a wonderful 8 week olf German Shepherd mix puppy. 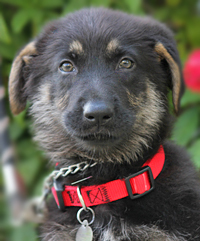 Ava von Marnie is a wonderful 8 week olf German Shepherd mix puppy. 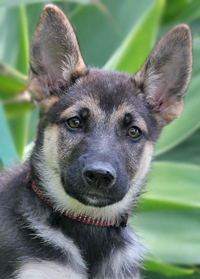 Jeneva von Marnie is a wonderful 8 week olf German Shepherd mix puppy. 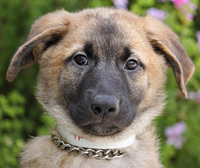 Sophia von Marnie is a wonderful 8 week olf German Shepherd mix puppy. 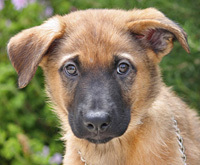 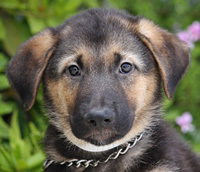 Antonio von Marnie is a wonderful 8 week olf German Shepherd mix puppy. 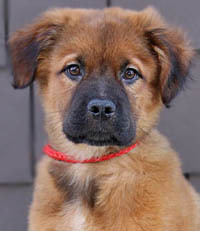 Star von Betsy is the cutest 9 week old shepherd/retriever mix puppy. 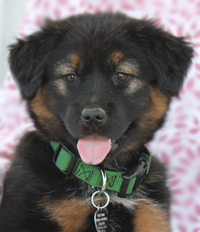 Lincoln von Betsy is the cutest 9 week old shepherd/retriever mix puppy. 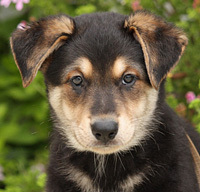 Ross von Betsy is the cutest 9 week old shepherd/retriever mix puppy. 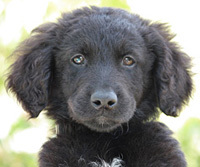 Spangle von Betsy is the cutest 9 week old shepherd/retriever mix puppy. 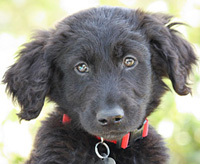 Hamilton von Betsy is the cutest 9 week old shepherd/retriever mix puppy. 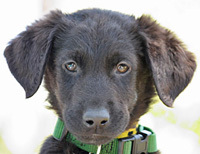 Liberty von Betsy is the cutest 9 week old shepherd/retriever mix puppy. 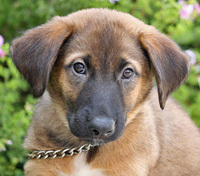 Patriot von Betsy is the cutest 9 week old shepherd/retriever mix puppy. 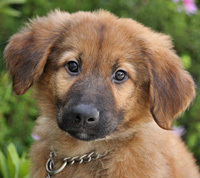 Jefferson von Betsy is the cutest 9 week old shepherd/retriever mix puppy. 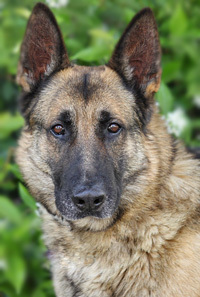 Dude von Wordham is a gorgeous 5 year old German Shepherd. 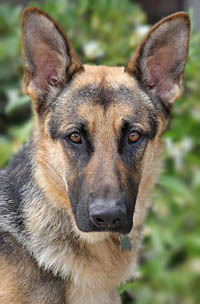 Ruger von Rhine is a beautiful 12 month old German Shepherd. 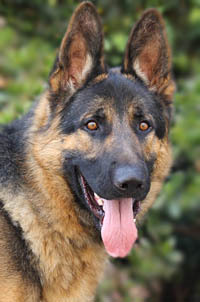 Mateo von Magdeburg is a beautiful 2 year old classic German Shepherd. 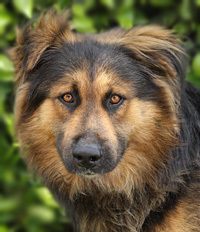 Zigfried von Zell is a gorgeous 3 year old long haired German Shepherd. 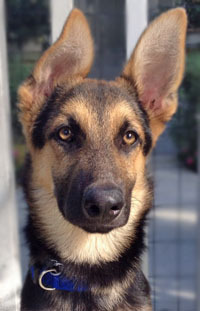 Brad von Barth is is a wonderful 4 month old German Shepherd puppy. 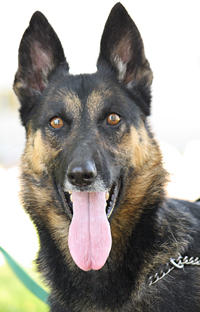 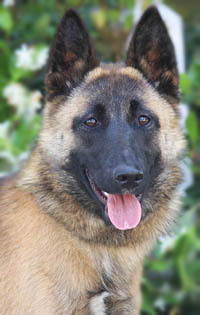 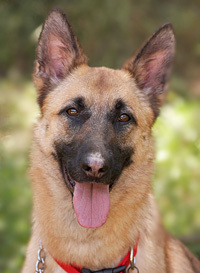 Tessa von Camarillo is a beautiful 3.5 year old German Shepherd/Belgian Malinois mix. 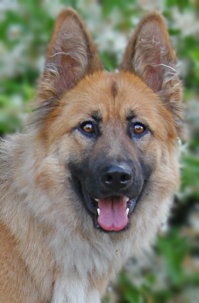 Cinnamon von Essen is a gorgeous 18 month old German Shepherd. 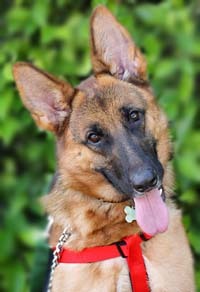 Natasha von Naila is a 12 month old picture perfect German Shepherd. 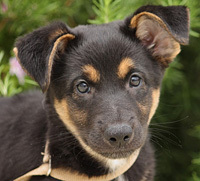 Hilda von Karina is an adorable 10 week old shepherd mix puppy. 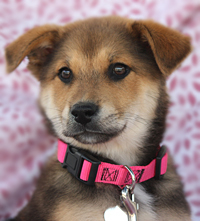 Tillie von Karina is an adorable 10 week old shepherd mix puppy. 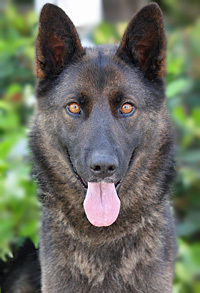 Rockford von Rhens is a striking looking 2 year old German Shepherd. 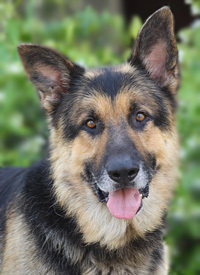 Franz von Scholl is a classically handsome 5 year old German Shepherd. 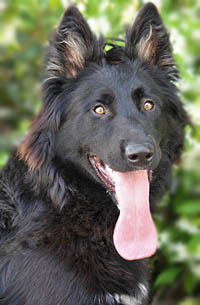 Luca von Leipzig is a gorgeous long haired sable German Shepherd puppy. 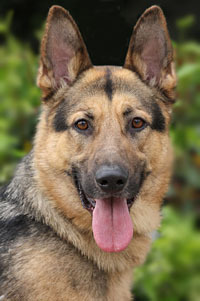 Heinz von Hamburg is a stunning 18 month old classic German Shepherd. 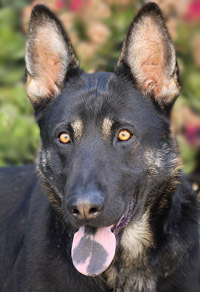 Oso von Bietigheim is a stunning, picture perfect 12 month old German Shepherd with the sweetest temperament. 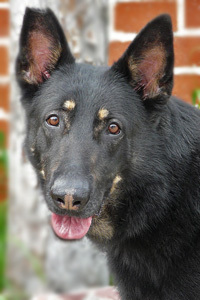 Donny von Osmond is a gorgeous 16 month old, large, dark and handsome German Shepherd. 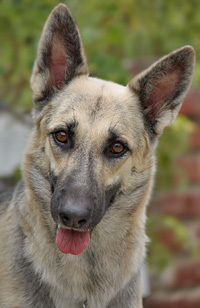 Petra von Plotzen is a beautiful 18 month old German Shepherd. 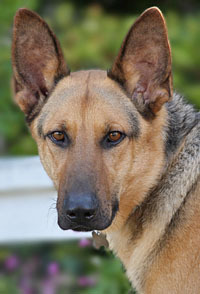 Shavon von Engel is a beautiful 11 month old German Shepherd mix. 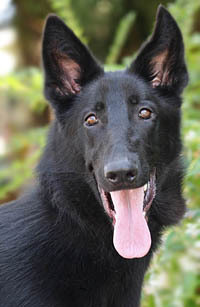 Delila von Dresden is a gorgeous 16 month old black and red German Shepherd. 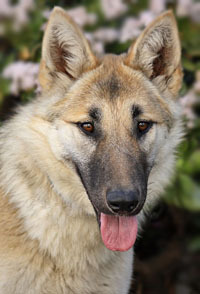 Abrosia von Apfelbaum is a gorgeous 8 month old sable German Shepherd. 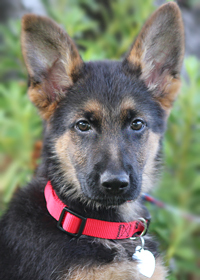 Chante von Bavaria is an enchanting 10 to 12 week old puppy. 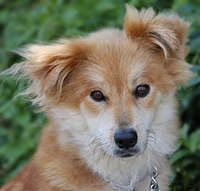 Molly von Butterfield is the sweetest 2 year old mix of cuteness. 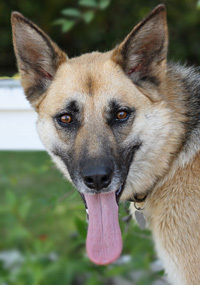 Grace von Berlin is an adorable 3 year old German Shepherd mix on the smaller side. 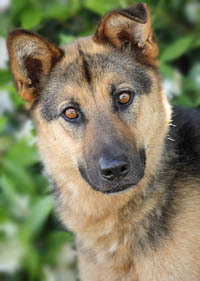 Cameo von Koln is a stunning 6 month old Shepherd mix girl. 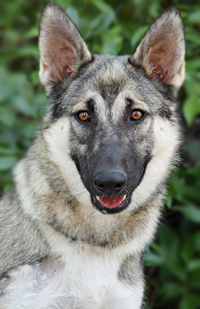 Cheyenne von Sioux is a gorgeous 16 month old German Shepherd with a touch of wolf. 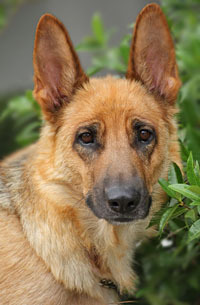 Nita von Nessen is a very sweet and beautiful 3.5 year old German Shepherd. 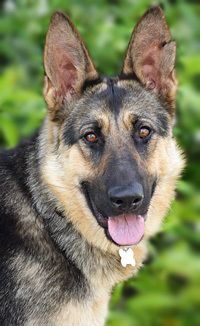 Sarah von Saxony is a picture perfect 18 month old classic looking German Shepherd. 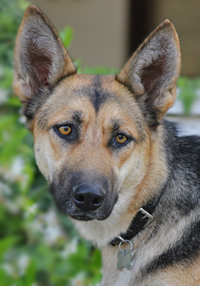 Dakota von Dutch is a striking looking 16 month old rust sable German Shepherd mix girl. 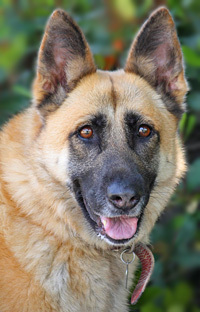 Nala von Norton is a lovely 4 year-old Belgian/Shepherd mix. 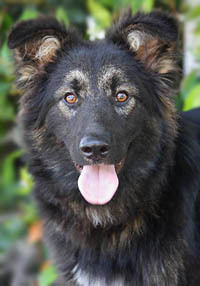 Danzka von Dresden is a gorgeous 4 year old Long haired German Shepherd. 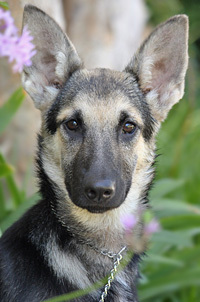 Joy von Munich is the sweetest 4.5 month old coated German Shepherd puppy. 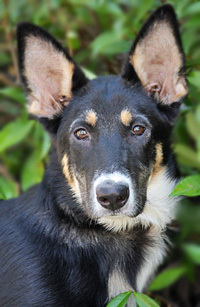 Riley von Rees is a wonderful 4 month old German Shepherd mix puppy. 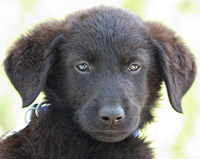 Braddock von Bavaria is a fun loving 10-12 week old puppy. 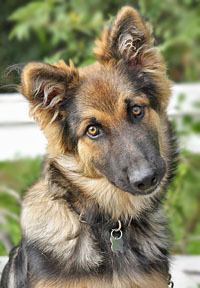 Kloden von Kiel is a delightfully sweet 6 month old German Shepherd puppy. 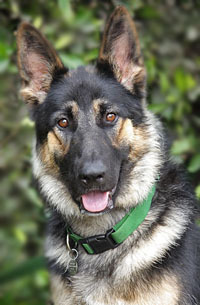 Sawyer von Sontra is a gorgeous 2 year old German Shepherd. 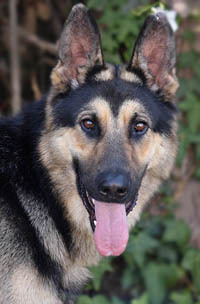 Rafferty von Roth is a handsome 2 year old German Shepherd. 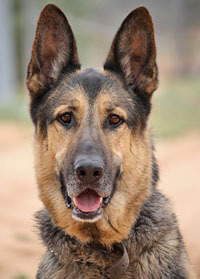 Ralston von Reinbeck is a handsome 2 year old German Shepherd. 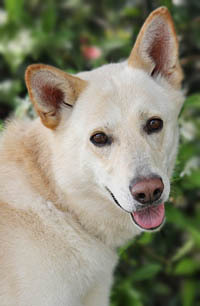 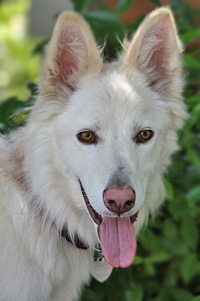 Lobo von Leer is an amazingly sweet and handsome 2 year old white German Shepherd mix. 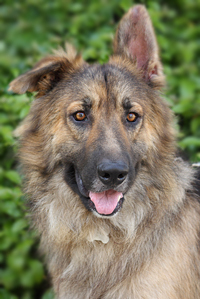 Gil von Gartz is a very handsome 18 month old German Shepherd mix. 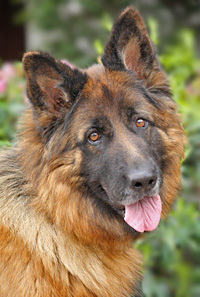 Kumi von Koln is a stunning 5-year-old long haired German Shepherd. 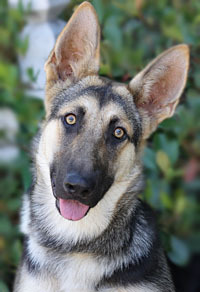 Pali von Pollenfeld is a cute and adorable 12-month-old German Shepherd mix puppy. 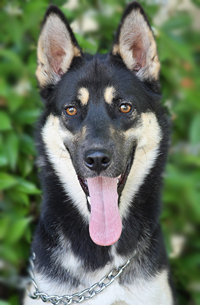 Ebony von Essen is a delightfully silly 8 month old Shepherd/Husky mix. 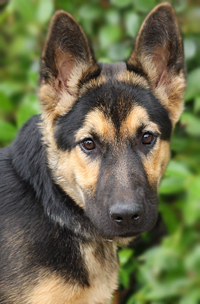 Rebecca von Rain is a wonderful 5 month old German Shepherd puppy. 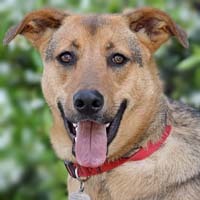 Indy von Munich is the most wonderful and affectionate 8 month old German Shepherd mix you will find. 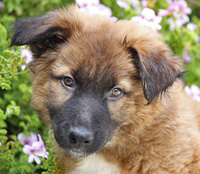 Rachel von Rees is the cutest 5 month old Germn Shepherd mix puppy. 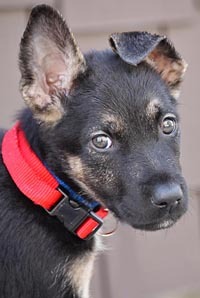 Bacardi von Karina is an adorable 10 week old shepherd mix puppy. 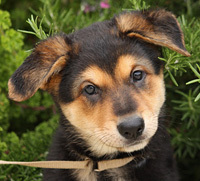 Barkely von Karina is an adorable 10 week old shepherd mix puppy. 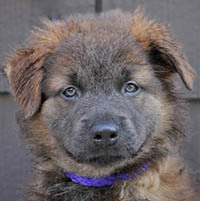 Chevy von Karina is an adorable 10 week old shepherd mix puppy. 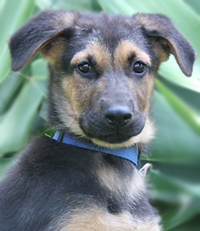 Gibbs von Karina is an adorable 10 week old shepherd mix puppy. 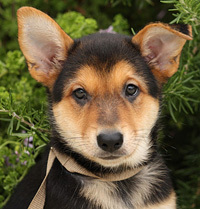 Scottie von Karina is an adorable 10 week old shepherd mix puppy. 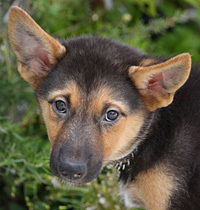 Chaz von Karina is an adorable 10 week old shepherd mix puppy. 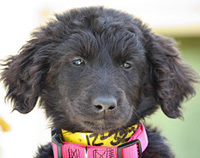 Payden von Marlaina is a wonderful 8 week old puppy. 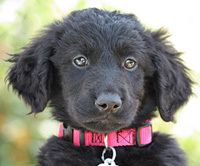 Kaitlyn von Marlaina is a wonderful 8 week old puppy. 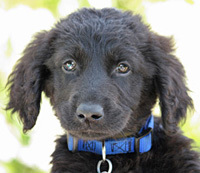 Roddy von Marlaina is a wonderful 8 week old puppy. 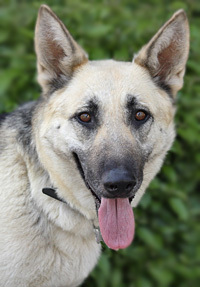 Lady von Leipzig is the sweetest 2.5 year old German Shepherd mix. 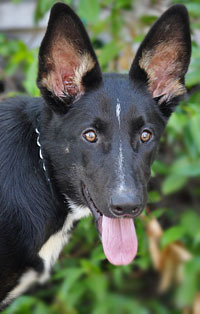 Ruff von Ruthen is a wonderful 6 month old shepherd mix puppy. 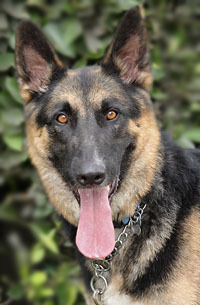 Garrison von Gartz is a very handsome 18 month old German Shepherd. 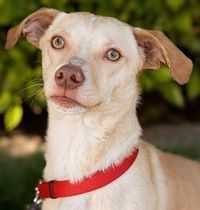 Koji von McFarland is a charming and adorable 12 month old Dachshund/Chihuahua mix boy. 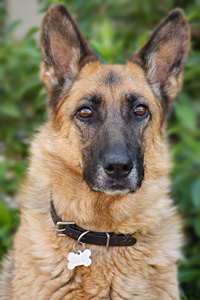 Franci von Freising is a lovely 6 year old German Shepherd. 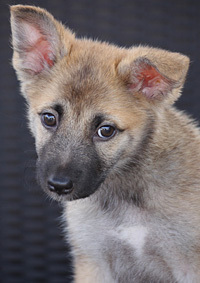 Nikki von Normandie is a wonderful 3.5 month old Shepherd mix puppy. 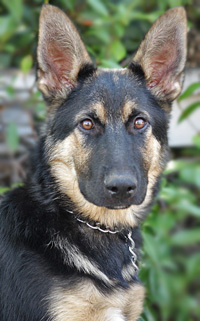 Leana von Leipzig is a gorgeous 5 month old German Shepherd puppy. 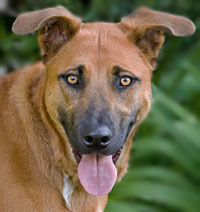 Dante von Dresden is a wonderful 7 month old shepherd mix puppy. 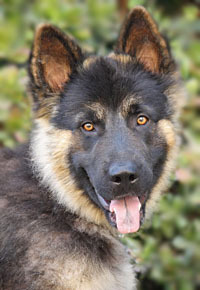 Ichigoo von Issel is a stunning 7 month old long haired German Shepherd puppy. 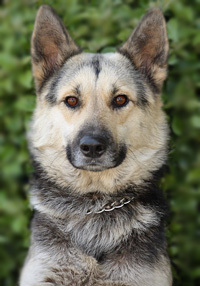 Remington von Rhine is an XXLarge 2 year old German Shepherd/Wolf mix. 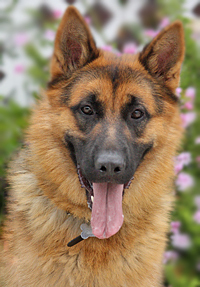 Anton von Bremen is a stunning 14 month old German Shepherd. 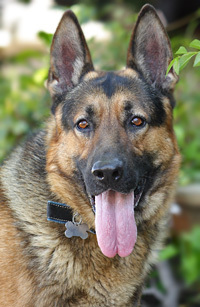 Ullrich von Lancaster is an amazing 3 year old German Shepherd. 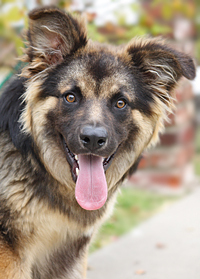 Winston von Churchill is a delightful 10 month old shepherd mixed with a smaller breed. 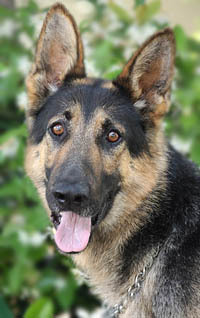 Sargent von Sarstedt is a beautiful and tall 12 month old German Shepherd. 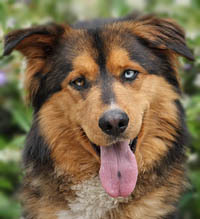 Mufasa von Moers is a stunning looking 2 year old Aussie mix boy. 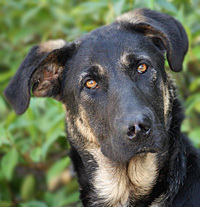 Marley von Mandelbaum is a sweet and goofy 8-month-old German Shepherd mix. 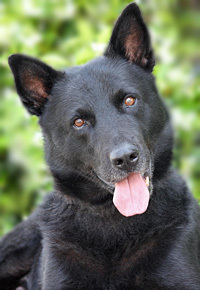 Wyatt von Wilster is a handsome 3-year-old German Shepherd mixed quite possibly with lab. 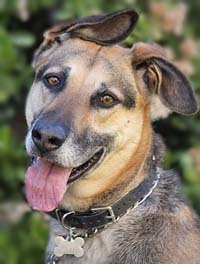 Penny von Sickle is the most wonderful and happy 2.5 year old Shepherd/Lab mix. 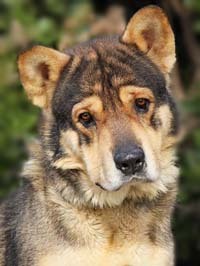 Yogi von Bear is probably the most adorable 16-month-old “creative mixture” of SharPei or Malamute and Koala Bear that anyone could ever imagine. 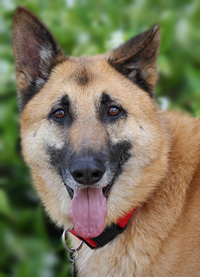 Blitz von Bodensee is a wonderful 5-year-old German Shepherd mix with a playful personality that is so endearing. 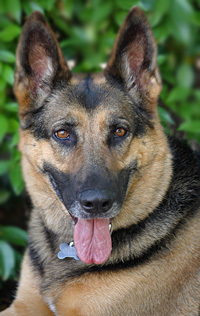 Rylee von Rhinow is a wonderful 5 year old German Shepherd. 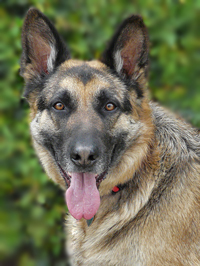 Dakota von Weimer is a beautiful 4.5 year old German Shepherd on the smaller side. 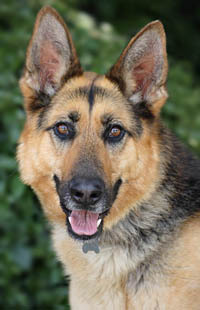 Morgan von Mayer is a lovely 3 year old German Shepherd. 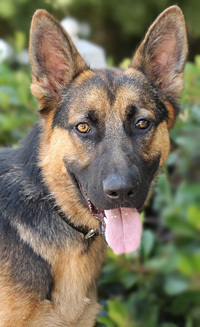 Aubrey von Annenheim is a gorgeous 12 month old German Shepherd on the smaller side. 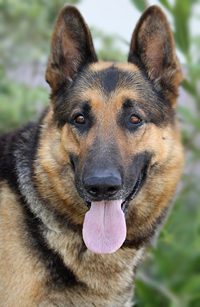 Gudren von Hamburg is a very sweet and beautiful 3 year old German Shepherd. 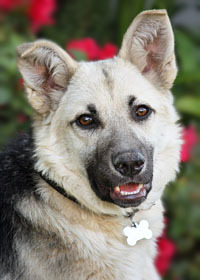 Samson von Saxony is the most adorable 9 month old German Shepherd/Corgi mix you will ever meet. 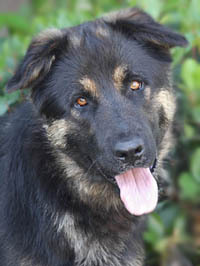 Bojangles von Bogin is a beautiful 18 month old long haired German Shepherd mix boy. 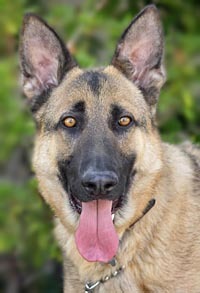 Rembrandt von Sonntag is an impressive looking 18-month-old German Shepherd with the natural ability to wiggle his way into your heart when you’re least expecting it. 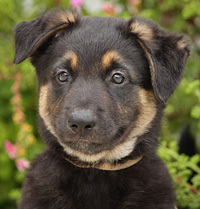 Hansel von Apfelthale is a stunning 9 week old black and red German Shepherd puppy. 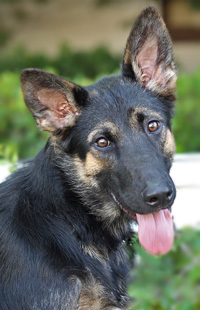 Celine von Seesen is a gorgeous 5 month old German Shepherd puppy with a happy and outgoing personality. 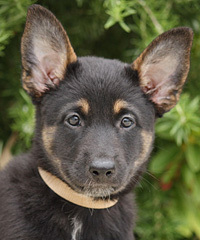 Gretel von Apfelthale is an adorable 9 week black and red German Shepherd puppy. 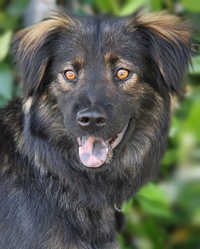 Marlaina von Ryan is an adorable 16 month old Aussie mix on the smaller side. 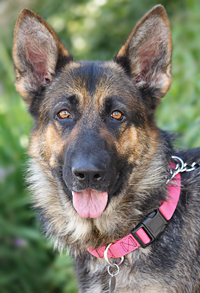 Penelope von Rhine is a beautiful, bi-color 12-month-old German Shepherd. 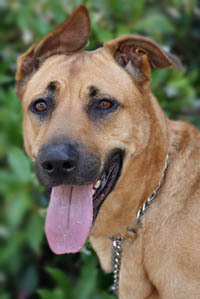 Lorelei von Landsberg is a gorgeous 12 month old shepherd mix. 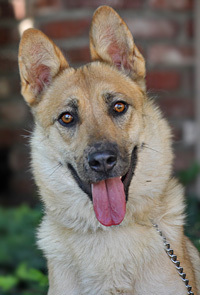 Gilda von Radner is a wonderful and loving 12 month old German Shepherd mix. 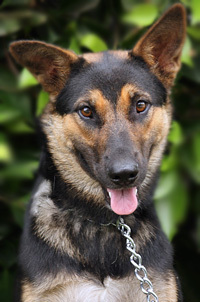 Erin von Essen is a beautiful 12 month old German Shepherd with a touch of another breed. 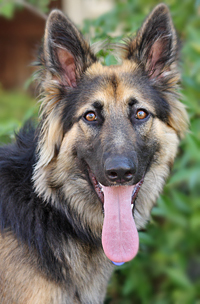 Justene von Jessen is a beautiful 14 month old long haired German Shepherd. 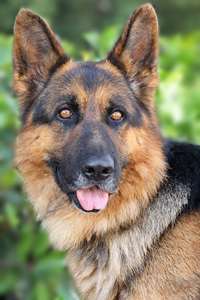 Amadeus von Amberg is the most stunning looking XLarge 2 year old classic German Shepherd. 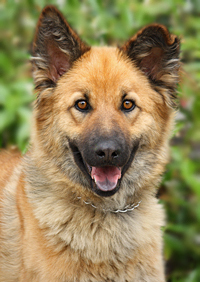 Arco von Alsdorf is a delightful 16 month old German Shepherd mixed with a tiny bit of something smaller. 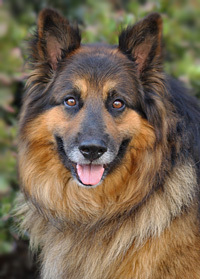 Jax von Callaway is a gorgeous 3 year old classic Geman Shepherd. 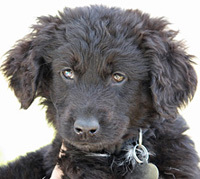 Colt von Essen is a 3.5 month old stunning mix of fluffy cuteness. 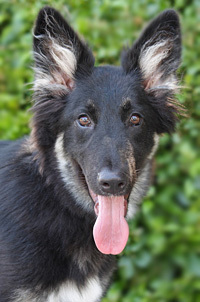 Wenda von Westfalen is a delightful 5 month old long haired German Shepherd puppy. 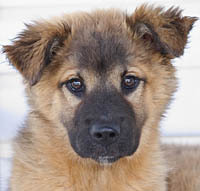 Pippi von Emmons is a delightful 8 week old shepherd mix puppy. 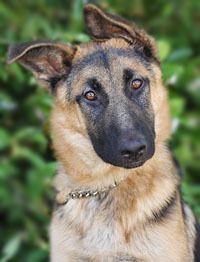 Jackie von Lancaster is a wonderful 6 month old German Shepherd puppy. 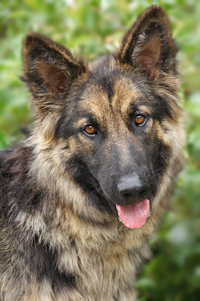 Flo von Lancaster is an enchanting 14 month old long haired German Shepherd. 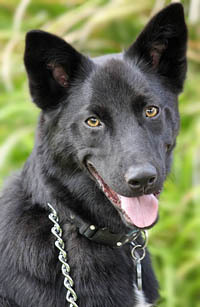 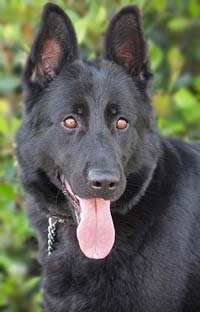 Jazz von Munich is a beautiful 2 year old black German Shepherd. 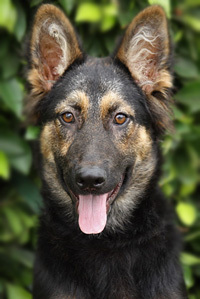 Vicky von Vienna is a stunning 11 month old medium sized German Shepherd mix. 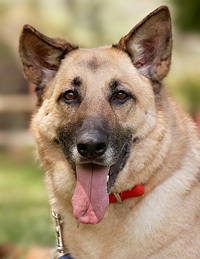 Paris von Pilsner is a wonderful 3 year old German Shepherd. 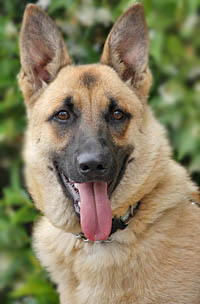 Carmine von Sicily is a stunning 2-year-old larger sable German Shepherd looking for his forever home. 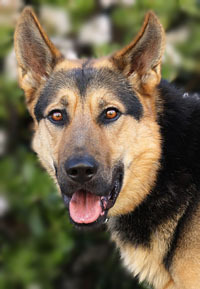 Lutz von Essen is a friendly and playful 2-year-old German Shepherd. 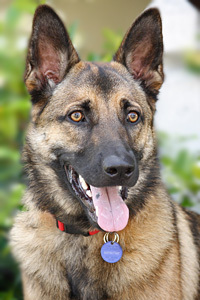 Bryce von Bodensee is a picture perfect 3 year old red and black German Shepherd. 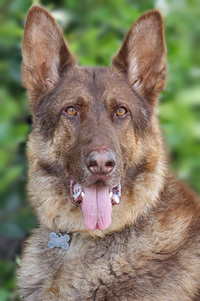 Branson von Brandis is a very handsome 4 year old sable German Shepherd. 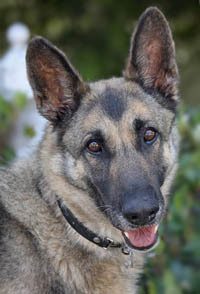 Lucky von Luzern is a stately 6 year old German Shepherd mix. 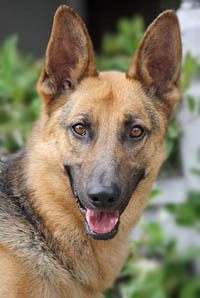 Lexi von Ryan is a wonderful 14 month old German Shepherd mix on the smaller side. 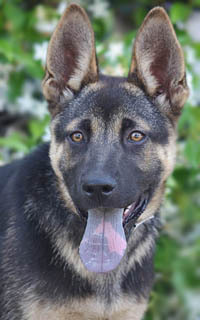 Garby von Gendelson is a wonderful 3.5 month old German Shepherd puppy. 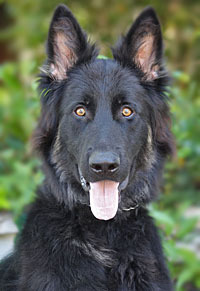 Volt von Wagon is a stunning 9 month old long haired German Shepherd. 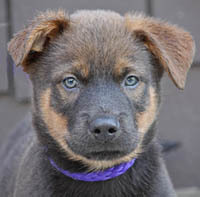 Pogo von Paige is a delightful 14 week old German Shepherd MIX puppy. 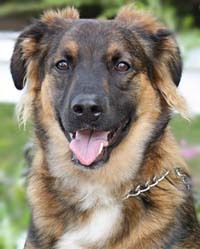 Dylan von Wagner is a beautiful 14 month old German Shepherd/Australian Shepherd mix. 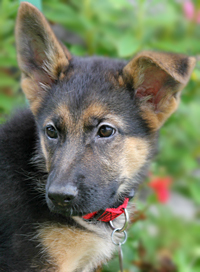 Heidi von Herzog is an enchanting 8 week old German Shepherd puppy.